Philip and Anh believe that clothes are art - a harmony of beauty, practicality, and sustainability. Clothes reflect our uniqueness, they subtly communicate beauty, thoughtfulness and our distinct ideas to the world. PSD likes healthy materials and strives for a zero-waste approach. 10%-15% of our sales have been consistently used to support the arts, education, and drug and violence prevention programs in the US and Southeast Asia. 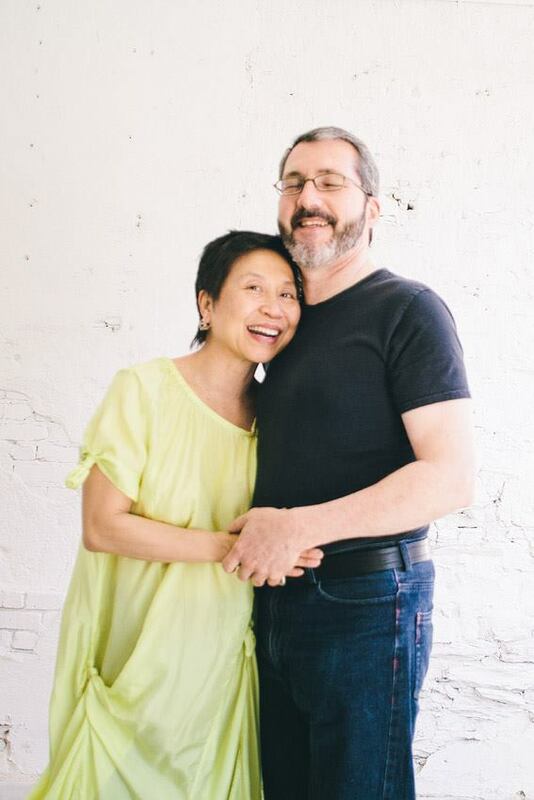 Philip specializes in solving particular design and fit issues, with nearly 40 years of designing and making clothing, from skirts and pants to tailored suits and wedding dresses, His work has always been a combination of the best of the "old" with the best of the "new". We design and make our clothes in Boston, MA, in Fort Point, the oldest and largest artist community in the northeast. Our studio and showroom is housed in a redeemed wool warehouse, and is only a few minutes from South Station, Chinatown, and the Financial District. Our studio is also in our home, where we often entertain family and friends. Feel free to call for an appointment to visit us at Midway Studios -- or in Rockport -- or you can find us online. To place an order or inquire about our services, please use Contact Us.